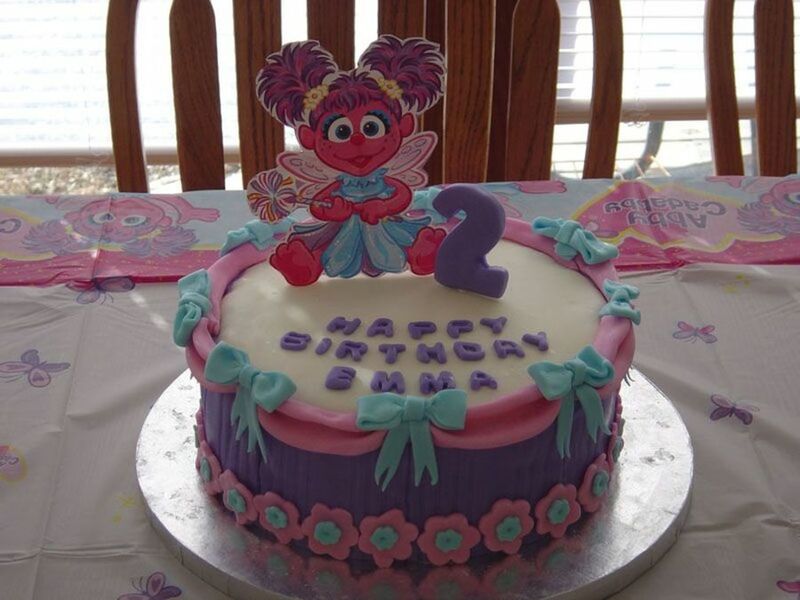 My daughters' second birthday cake. It gave me a little trouble, but overall I think it looks ok. It sure taste good though!!! Dark Chocolate/ white swirl cake with buttercream filling and buttercream fondant. The Abby is a card that I cut her image out and the 2 is a big piece of fondant cut out by a cookie cutter. This was my first attempt at making bows...yikes! At 10:00 pm it was not a fun job! Thanks for looking!